Volkswagen has a brand new Polo Hatchback for sale and it looks more sophisticated and grown up. The new design is sporty and there are many new technology upgrades included in the Polo package. Competing in the supermini class VW Polo is a very nice drive that remains refined; in fact the ride quality feels more like a larger VW. Inside the new cabin there is pleasant ambient lighting, seats with optional lumbar support and new decorative trims. The Polo is all set to take on the best in the supermini class, so it rivals the likes of the Ford Fiesta, Mini 3dr Hatch, Skoda Fabia, Renault Clio, Honda Jazz, Nissan Micra… and the list goes on! Yes, there are many superminis available to choose from, so it’s vital for VW that the Polo makes a good showing of itself. Rest assured it does – it is a friendly, useable, refined, easy-going, desirable and very solidly built compact hatch. Let’s have a quick look at the space inside the 2018 Volkswagen Golf. One of the nice features of the Polo is that the doors open nice and wide, the roof seems a good height to get your body into the seats easily, and the amount of legroom for rear seat passengers is right up there with the best in class. Rear seats are split folding and capable of folding flat for getting more stuff into the car when occupants aren’t being seated in the rear. With the rear seats in place there is 351 litres – not a bad effort from VW. The cloth material on the seats is very nice, and the support and comfort levels for front seat passengers is really good. Having the steering wheel height and reach adjustable as well as the driver’s seat offering height adjustment it really does make getting your driving position easy. Storage compartments throughout the new Polo are available for carrying all manner of paraphernalia. A compartment in the roof console, good size door pockets front and rear, and space in the centre console for various small items comes in handy on any journey. The level of high-end and modern technology that has made its way into the Polo is exciting. A very nice flat-bottomed leather steering wheel boasts audio, telephone, cruise control and Multi-Function Display controls. There is a new very nice 8-inch infotainment screen that brings up a satellite navigation screen in a super clear format. This touchscreen links you to being able to listen to your own music lists. AppConnect is a programme where you can use the apps on your phone via the screen for enjoying music and getting connected. You also have the option of controlling these features via voice activation. Three interfaces are available for use, and these are: Apple CarPlay, Android Auto and Mirrorlink. Wireless phone charging and connection inside the new Volkswagen Polo makes life really easy for keeping the communication channels open and friendly. Both the Trendline and the Comfortline Polo models come with the same safety package that has resulted in five-star Euroncap safety. It may not be your cheapest compact Hatch but it sure is a quality buy. The Trendline model offers features like DRLs, three-point seatbelts for all passengers, Traction Control, tinted glass, a low tyre pressure indicator, air conditioning, cruise control, a rear view camera, Driver Fatigue detection, a quality Composition Media audio system, an 8.0-inch colour touch screen display, steering wheel mounted controls, 2 USB ports, electrically heated and adjustable side mirrors, cloth upholstery, a 12V socket in the centre console and the 3-cylinder inline turbocharged direct injection petrol engine with an engine Start/Stop function. In Europe there are other model trims available but here in Australia we have two model trims. One is the Polo Trimline with plenty of great features to keep most people happy. The Polo Comfortline has some extra features that some people will find more endearing. What you get with the Comfortline are features like a radiator grille that is highlighted in chrome, Sassari alloy wheels, antitheft wheel bolts, front armrests, headlights with a coming home/leaving home function, low light sensor with automatic headlight function, chrome elements on power mirror and power window switches, rear passenger reading lights, an automatic dimming interior rear-view mirror, a 6-speed manual transmission (5-speed in Trimline model), 85 kW instead of 75 kW under the bonnet, Comfort cloth upholstery and rain sensors. That’s pretty much the difference between Trendline and Comfortline models in a nutshell. Some of our cities can be a nightmare to drive through at certain peak times, and people can do the stupidest things – particularly when they try to cross the road while looking at their phones. 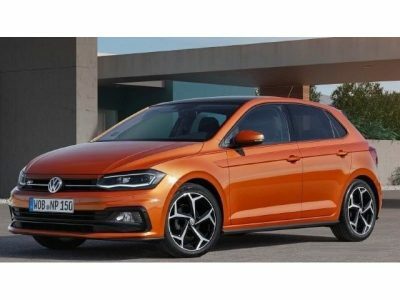 Volkswagen has equipped the 2018 Polo with Pedestrian monitoring. The new Polo is equipped with the a clever front assist system with City Emergency Braking and Pedestrian Monitoring. This clever system uses a radar sensor to detect when a vehicle or pedestrian suddenly enters your path without warning and can automatically apply the brakes to reduce the likelihood of a collision. If you really want all the safety ‘bells and whistles’ then the optional safety package for the Polo includes Adaptive Cruise Control, a Blind Spot Sensor, Rear Traffic Alert, Park Assist and a Proactive Occupant Protection system that detects a potentially dangerous situation and prepares for the collision. Two brand new engines are ready for powering the nimble little Polo Hatchback. The 70 kW TSI offers a 3-cylinder turbocharged TSI petrol engine with BlueMotion Technology. Responsive and fun this little engine provides incredible fuel efficiency and relaxed cruising. It comes with a choice of a 5-speed manual gearbox as standard or an optional 7-speed Direct Shift Gearbox (DSG) transmission. Impressive torque from such a small engine makes for excellent performance for everyday tasks. There is 175 Nm of torque available from just 2000 rpm, and the fuel consumption averages out to around 5 litres/100 km. The 85kW TSI engine offers more power without sacrificing fuel efficiency. It, too, is a 3-cylinder turbocharged TSI petrol engine with BlueMotion Technology, but puts out a greater 200 Nm of torque at 2000rpm, and is also available in 6-speed manual and 7-speed DSG transmissions. Fuel consumption is equally as low. The Comfortline also sneaks in under 10 seconds for the 0-100 km/h sprint. Optional accessories for the Volkswagen Polo are also available that will be sure to tailor your Polo especially to your own tastes. A sophisticated set of five bright new exterior colours are available – sure to set your new Polo up for getting onlooker’s attention. Choose from a variety of stylish alloys, and you can even have a specially made boot liner and rear bumper scuff plate fitted to you 2018 Volkswagen Polo. Also a handy option if you’re needing just a little bit more luggage space is the neatly designed roof rack, which allows for carrying some of those awkward items like a surf board or fishing rods. Buy a brand new Polo, and you get a three years unlimited kilometre warranty with your new car. If you want arguably the class leader, then the 2018 Volkswagen Polo knows how to please. For any more information on the 2018 VW Polo or, for that matter, any other new car, contact one of our friendly consultants on 1300 303 181. If you’d like some fleet discount pricing (yes even for private buyers! ), we can submit vehicle quote requests out to our national network of Volkswagen dealers and come back with pricing within 24 hours. Private Fleet – car buying made easy!